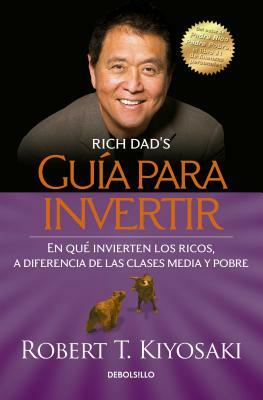 Gu?a Para Invertir / Rich Dad's Guide to Investing: What the Rich Invest in That the Poor and the Middle Class Do Not! New. Text in Spanish. Trade paperback (US). Glued binding. 672 p. Contains: Illustrations. New. 100% Money Back Guarantee. Brand New, Perfect Condition. We offer expedited shipping to all US locations. Over 3, 000, 000 happy customers. Text in Spanish. Trade paperback (US). Glued binding. 672 p. Contains: Illustrations. Fine. 100% Money Back Guarantee. Brand New, Perfect Condition. We offer expedited shipping to all US locations. Over 3, 000, 000 happy customers. Text in Spanish. Trade paperback (US). Glued binding. 672 p. Contains: Illustrations. New. 6073133332 Special order direct from the distributor.